Okay, so I don’t know how to start this post. 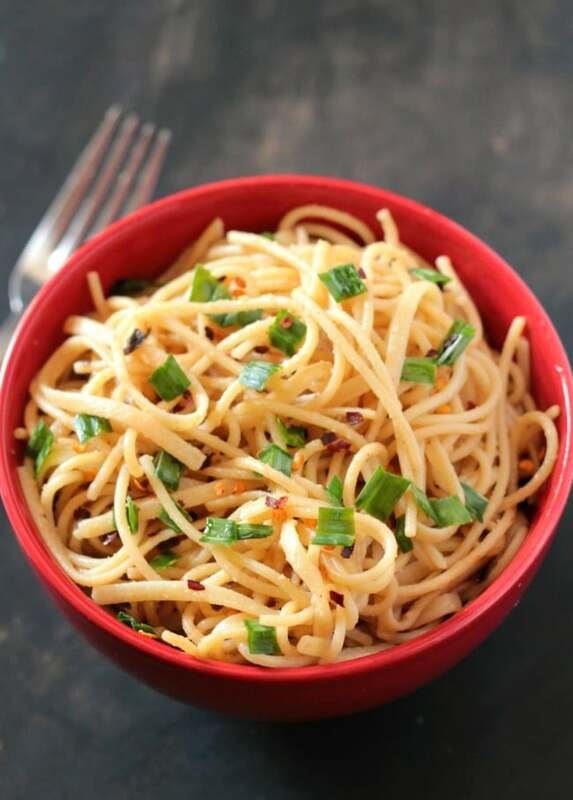 You see, there’s this delicious bowl of Tahini Garlic Noodles in front of me. 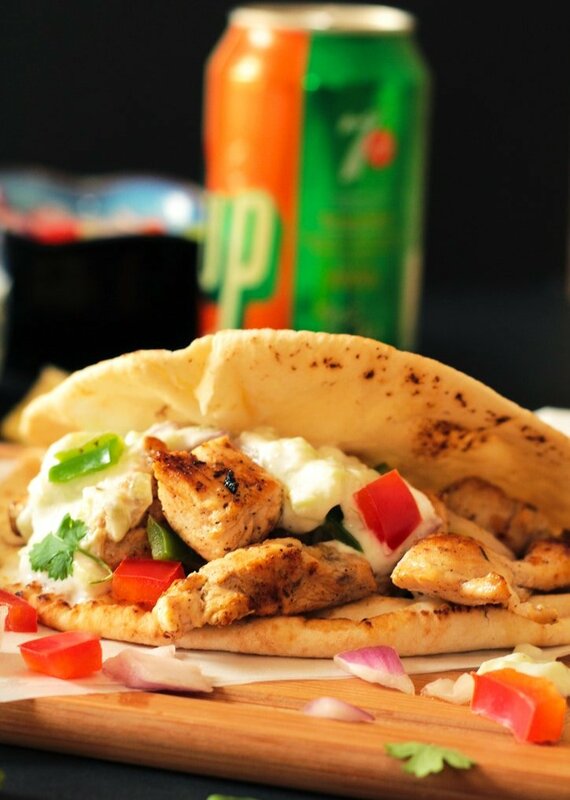 It’s steaming hot, garlicky and nutty from the tahini paste. And all I want to do is stick in a fork and slurp my way through each spicy, garlicky, nutty noodle until there’s no more left. But I’ll have to wait, because I need to talk to you guys and catch up! So if you’re a regular reader, and have been wondering where I’ve disappeared for the last I don’t know 1000 days? Okay, maybe not thousand days, more like a month or so. But in the blogging world, the internet you see, 1 normal human day = 10 days or something in the internet world. Okay, I totally made that up. But the internet is so fast, content goes by lightning speed, things go crazy viral and then disappear (I’m still waiting for my crazy viral day, Internet Gods by the way), etc. So I was actually away on holiday, don’t worry, the aliens didn’t abduct me or anything. I went back to my home country (Pakistan – the land of truck art and piping hot sweet jalebis). And before leaving on holiday, I was so sure I was going to be productive and blog regularly. I even had recipes ready, beautiful pictures of food captured, even had a posting schedule jotted down. But the thing about me is that while I love being organized, making schedules and lists, I actually have a hard time following said schedules and lists. And so I took a break, first saying to myself, okay just 1 week off and then I’ll be back to schedule, pinky swear. 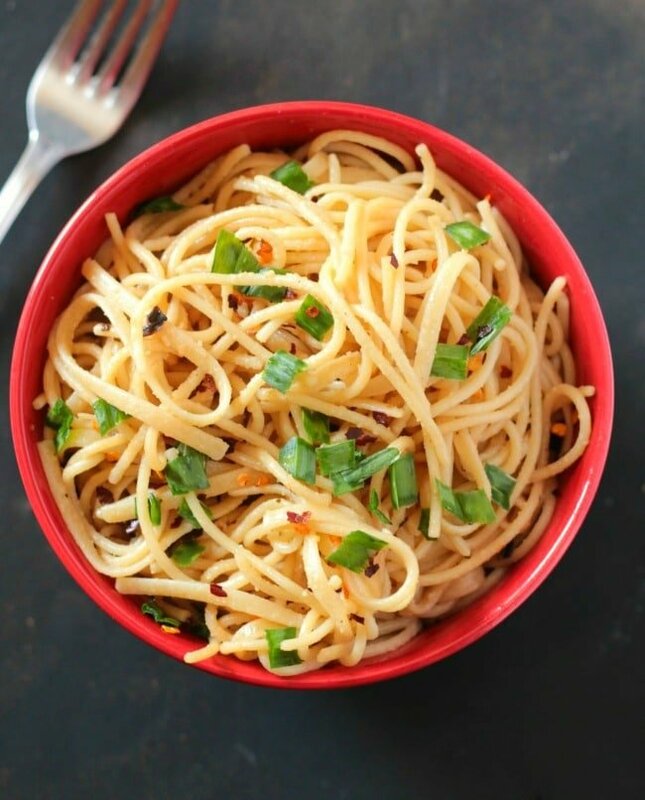 And this bowl of Tahini Garlic Noodles is the perfect kind of summer recipe for a procrastinator like me! And you too, if you’re a procrastinator, that is. 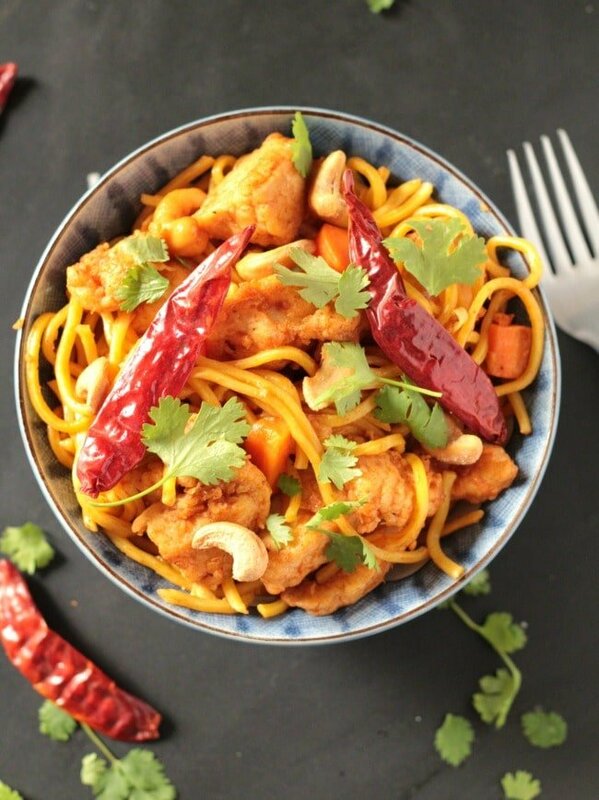 So if you’re looking for a quick, easy and delicious recipe, with minimal ingredients and effort involved, this is the dish for you! And seriously, don’t think I’m a weirdo or anything for adding tahini paste to noodles, because it tastes deliciously nutty! I promise. 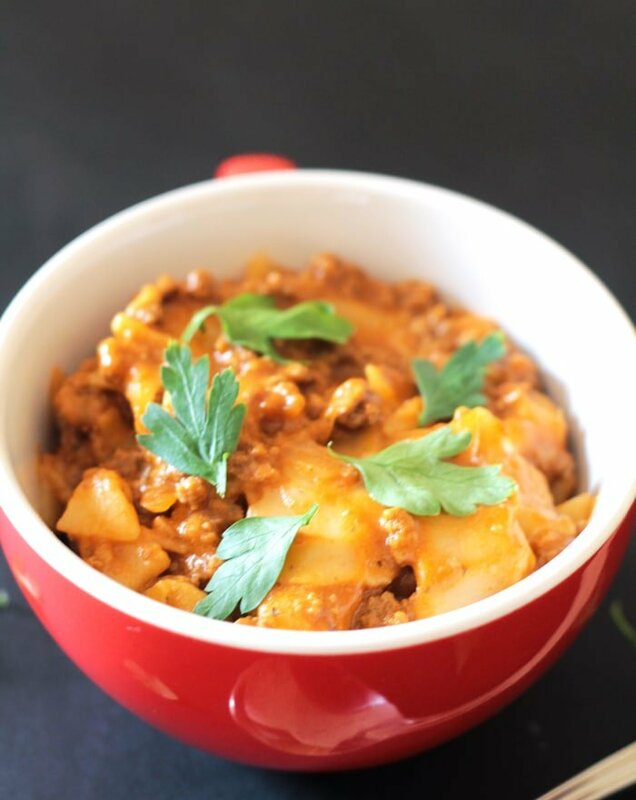 Looking for more quick and easy meals? 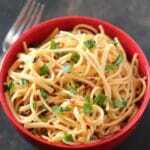 These Tahini Garlic Noodles are the perfect light lunch for summer or even a great side dish. Serve with your choice of protein or vegetables! In a medium large pot, heat the olive oil and fry the garlic for a minute or two. Add the dry red chilli flakes. Fry for 30 seconds. Then toss in the cooked drained spaghetti and mix well. Add in the tahini paste, toss the noodles, and cook on low heat for a few minutes. Mix thoroughly and serve immediately. Hi Wajeeha! Love the concept of your blog. I was wondering, is it possible to sub the tahini for peanut butter (the natural kind). Thanks! Thank you Rabab! I’m not sure peanut butter can be used a replacement here as the taste of tahini is very different!